Apricot Gardens Boutique Guesthouse is perched on the mountain slopes above Gordon’s Bay with panoramic views of the entire False Bay to Table Mountain and Helderberg. 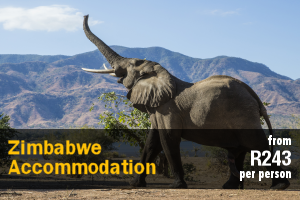 Choose between our 4 luxury rooms, a junior suite and 2 luxury suites plus a spectacular self-catering suite. Additional facilities in the rooms include underfloor heating, a bar fridge, Wi-Fi, DStv, a private entrance, a patio and views of the sea and garden. Enjoy the sweeping gardens and various pooldecks to soak up the sun. Breakfast is prepared with the finest artisanal fare, served in the dining room with sweeping views across the bay. Dinner is available on request and is prepared with the finest ingredients and flair by the resident chef Alex. The cellar is stocked with a hand selected collection of excellent wines of the region. Apricot Gardens Boutique Guesthouse is in the heart of the Cape, a 30 minutes drive from Cape Town International Airport and Stellenbosch and 1 hour’s drive to Hermanus and en-route to the Garden Route. Gordon’s Beach Lodge is a family-run guesthouse offering a highly personalised and professional service. Situated across the road from safe swimming beaches, walking distance to restaurants, the guest house has one of the most stunning views of False Bay. 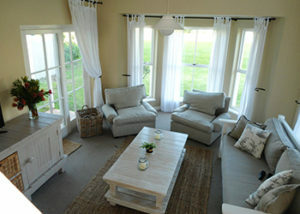 The are 6 beautiful en-suite rooms. All our rooms are really beautiful and all come standard with king-size beds which can be converted into twin beds on request, as well as full en-suite bathrooms with oval baths and separate walk in showers. The Deluxe room has two additional single-size beds.Other luxuries that come standard in the rooms include TV with 11 channels, air-conditioning, fully stocked mini-bar, electronic safe, tea and coffee making facilities with complimentary homemade rusks,electric blankets, beach and bath towels, hairdryer and bath and shower products. We also have a small little splash pool on the premises, stunning sea views from our bar area, from where we serve cocktails and drinks, and we are situated only a minute’s walk to the beach or about 5 minutes’ walk to the well-known Bikini Beach. All the best restaurants are also only a short walking distance away. Nearby attractions include: 30 minutes away from Cape Town International Airport. 45 minutes from Cape Town and the Waterfront. 45 minutes from well known Hermanus. At least 8 excellent 18 hole golf courses within 20 minutes drive. Half an hour from the Stellenbosch wine route. Hiking trails, fishing, cycling right in the town. 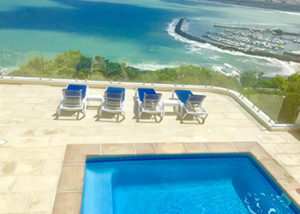 Manor on the Bay Guesthouse is situated only 50 m from the beach, offering affordable accommodation, value for money and great discounted specials throughout the year, in picturesque Gordon’s Bay, just outside Cape Town. We are 5 minutes’ walk from upmarket restaurants and Bikini Beach with its Blue Flag status. Gordon’s Bay is a top tourist destination in close proximity to Cape Town, Table Mountain, the Winelands (Stellenbosch, Franschoek, Paarl, Helderberg) and over 12 golf courses and located on Route 43, one of SA’s most scenic routes (Gordon’s Bay to Hermanus coastal road). Also famous for the Southern Right whales visiting us each year: Gordon’s Bay, Gateway to the Whale Route, August – November. Enjoy the warmer sea water – about 9 degrees warmer – than Cape Town’s icy waters. 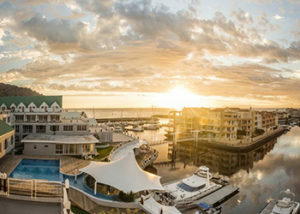 Manor on the Bay’s central location provides an excellent base from where truly unique Western Cape attractions can be experienced. The beachfront is lined with restaurants, coffee shops, pubs, bookstores and curio shops, all within walking distance. We can arrange shark-cage diving, fishing trips, scuba-diving, picnic-baskets and sunset cruises. Quality restaurants are within walking distance and golf courses, hiking trails, shopping malls and more safe swimming beaches are easily accessible. 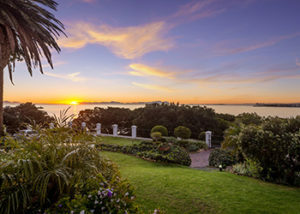 Only 40 minutes away from the Cape Town International Airport and 50 minutes from the Waterfront and Stellenbosch Wine Route around the corner from us makes Manor on the Bay the ideal location for a splendid holiday where you can put your feet up at night and enjoy our famous sunsets over False Bay. These Ocean View Apartments offer self-catering accommodation in Gordon’s Bay, which boasts its very own Blue Flag beaches and is home to the famous ‘Bikini Beach’. Take an evening stroll along our white sandy beaches, eat out at the old fishing harbour or just kick back and relax, refill that wine glass and watch the sun go down. Gordon’s Bay is conveniently located, and is an ideal central base when visiting Stellenbosch and Franschhoek’s world famous wine region but not forgetting that the whale spotting route starts from Gordon’s Bay to Hermanus, and you can often see whales, dolphins and seals in the bay from your Ocean View Apartment. Accommodation is offered in 1- and 2-bedroom apartments, each with stunning sea views. The apartments each contain a fully equipped kitchen with a Nespresso coffee machine, a TV with full package DStv, free Wi-Fi internet access, and a weber braai facility. UK and Euro power sockets are supplied. The apartments are serviced weekly. Bed linen and towels are changed for stays of seven days plus. Secure garaged and on-street parking is provided. The property is surrounded by a monitored and alarmed electric fence to keep the mountain wildlife away, and is linked to the 24-hour Gordons Bay Security. Gordon’s Bay Guest House, an oasis of calm in the stunning Helderberg region of South Africa with breathtaking views of the Helderberg basin, False Bay and the back of world famous Table Mountain towards Cape of Good Hope. The Guest house comprises 10 different Luxury rooms in different categories, where all en-suite bedrooms are air conditioned and the Management couple, Monika & Jochen and their staff offer a particularly warm welcome to their guests, might assist you with almost any kind of queries and/or help. WiFI is free all around the Guesthouse. You find even an installed PC for your Internet needs including a color printer at our “Lounge-Bar” you can use for free. Ask, as needed for our ice-machine! Under a thatched lapa, there are braai facilities which our guests may use should they wish so. 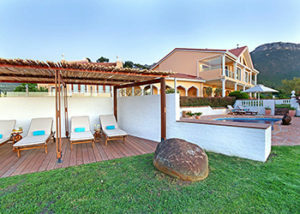 The large swimming pool, together with covered Jacuzzi area which is set in a tropical garden, is the perfect place to unwind after a long day of sightseeing in nearby Cape Town and surrounding areas including the Cape Winelands and Hermanus, which is very popular during the whale-watching season. Guests can even enjoy a game of golf on one of the 13 golf courses in the surrounding area. The prices are inclusive of our most loved and buffet style breakfast, you can ask for any kind of eggs, served each morning from 8.00 a.m – 9.30 a.m.and/or on special request if possible. 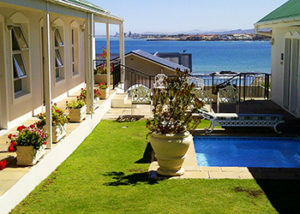 185 on BEACH Boutique Suites and Apartments is situated right at the sea’s edge in sunny Gordan’s Bay. The town is best known for it’s beautiful blue flag beach , old harbour, hiking and mountain slopes. 185 on BEACH Boutique Suites and Apartments offers perfect accommodation for couples, business traveller and family groups. 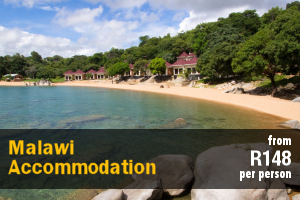 Accommodation comprises 6 units which include the Beach Penthouse, Beachside Cottage, Seaview Forest Suite, Beachside Studio, Seaside Suite, and Starlight Deluxe Suite. 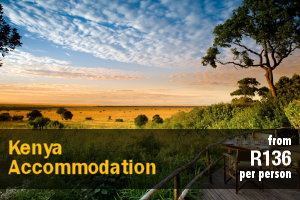 All units come equipped with comfortable beds, a bathroom, a kitchen/kitchenette, Wi-Fi, DStv and air-conditioning. 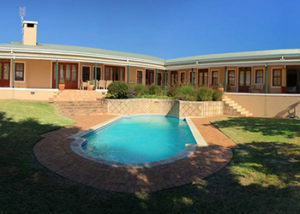 On-site facilities include a swimming pool, a braai area and Wi-Fi. Stroll safely only 200m to Blue Flag Bikini Beach to enjoy the warmer waters of False Bay, restaurants and the quaint village beyond. Just 35 minutes to Cape Town Airport, close to the Garden and Wine routes and on the Whale route between Cape Town and Hermanus, it is the ideal base from which to enjoy golf and other sports and Cape adventures. 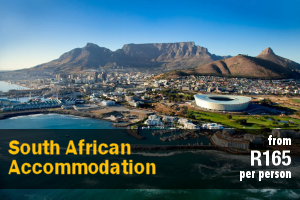 Visitors can enjoy Cape tourist activities, nature reserves, wine tasting, champagne cruises, fishing, golf, hiking, whale watching, and adventure activities like mountain biking or horse riding through vineyards, canopy zip-lining and shark cage diving. Charming staff clean daily and touring suggestions are offered. 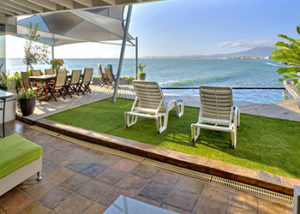 Krystal Beach Hotel is situated on the waterfront of the paradisaical Harbour Island, Gordons Bay. 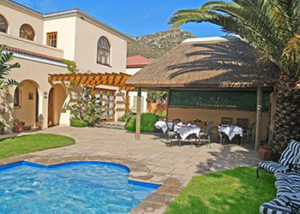 It is ideally located only 32 km from Cape Town International Airport. 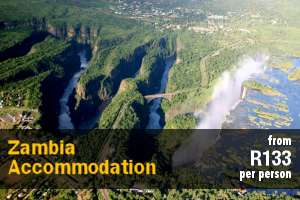 The accommodation comprises a variety of room categories. These rooms are tastefully decorated and are furnished with either a queen-size, king-size or twin beds, the en-suite bathrooms have either a bath or shower. All rooms are equipped with air-conditioning, mini bars and a flat-screen TV. The hotel has a variety of facilities that include a gym, a spa and an on-site restaurant and bar. 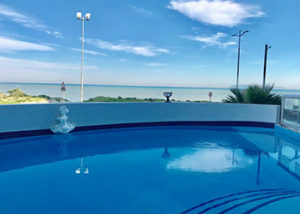 Guest can enjoy the hotel’s lounge area or outdoor patio with a swimming pool that overlooks the waterways and offers partial sea views. There is also conference facilities available for business travelers. 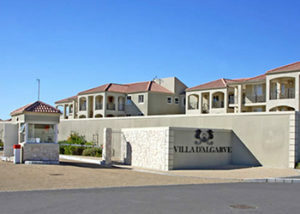 The hotel is situated just minutes away from the main beach and numerous great wine estates. The Golf House is a beautiful Victorian-style 4 bedroom 2 bathroom house on a 24 hrs secure Golf estate with stunning mountain and sea views, 70 metres from the sea. The Golf House is decorated to create a child-friendly, homely environment surrounded by a 9 hole golf course with walkways, wildlife and wide open spaces. Here you can have a relaxing holiday and enjoy the beautiful all year round climate and at the same time explore the Western Cape in a stress-free way. Greenways is a private, secure golf estate right on the beautiful False Bay coast. The 9 hole, par 3 course, 2 tennis courts and large swimming pool is for the exclusive use of the residence. Greenways also have a superb restaurant in the clubhouse and, beautiful walkways along the beach and its own private beach area. Strand shops and Somerset Mall with cinemas, restaurant and shops are just 10 minutes away. 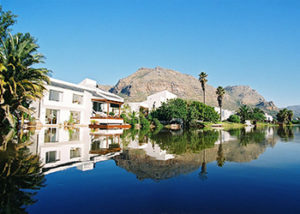 Stellenbosch Winelands, Cape Town and V&A Waterfront just 25 minutes away. Whale watching and shark diving excursions are easy day trips from Greenways. 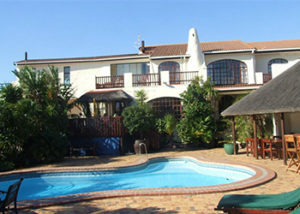 Shalom in Greenways is a self-catering apartment located in the Greenways Estate, Strand. The security estate has an 18-hole golf course with 9 fairways, a restaurant, tennis courts, 3 swimming pools and braai facilities. 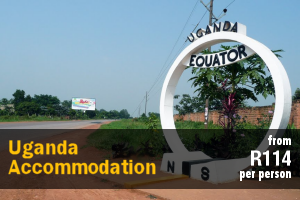 The fully furnished unit comprises 2 bedrooms and can accommodate 4 guests. The main bedroom is furnished with a king-size bed and the second bedroom features 2 single beds. The shared bathroom has a bath and shower. The kitchen is equipped with a fridge-freezer, microwave, stove, oven, kettle, and toaster. The lounge has a comfortable couch which converts into a recliner while additional facilities include a TV and secure parking. The estate boasts well-lit walking and cycling trails to ensure safety at night. Attractions in the area include the Lourensford Wine Estate, Somerset Mall, a nature reserve and beaches. The estate is near Gordon’s Bay harbour, restaurants, shopping centres and other amenities. Herbert House B&B is ideally suited for business travellers who would like to relax in a tranquil, quiet environment after a busy day. The house is only walking distance from the beach and several restaurants and coffee shops. There are 3 well-equipped rooms each 1 with its own entrance from the stoep and all sleeping a maximum of 2 guests. The rooms have an en-suite bathroom with a bath and shower, electrical shaving point and warm towel rail. Off-street parking is available and we have a swimming pool where you can cool off during the warm summer days. Swimming-towels are available for use only at the swimming pool. Breakfast is served every morning in the dining room. There are no self-catering facilities available and Herbert House is not suitable for wheelchair users and pets are not allowed. At Herbert House, our guests are our priority and we look forward to welcoming you here. 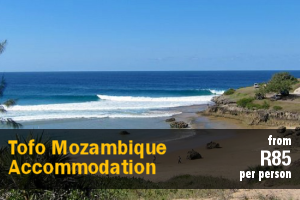 Newman’s Akkommodasie is a lovely apartment situated in the Ocean Breeze Hotel, in Strand. The hotel is located near the beach, restaurants and shopping centres. Please note that this is not a unit with a sea view. It is a private unit. This unit accommodates 3 guests, 2 adults and 1 child, and comprises an open-plan unit with a well-equipped kitchen. The unit is furnished with a double bed as well as a sleeper couch. The bathroom is fitted with a bath and hand shower. The kitchenette is equipped with a bar fridge, microwave, electric frying pan, and tea- and coffee-making facilities. Additional facilities include a TV with DStv, secure parking behind the hotel as well as underground parking at R50 per day. Arrangements must be made with the hotel if guests want to make use of the underground parking as well as the WiFi. A swimming pool and restaurant are available in the building. Nearby attractions include Strand Golf Club, Somerset Mall, Cheetah Outreach, Helderberg wine estates, Strand Waterworld and Hottentots Holland Nature Reserve. Overlooking the mountain and ocean, Hibernian Towers 1103 is a comfortably furnished self-catering apartment for up to 6 people in Strand. Situated on the eleventh floor, the apartment consists of 3 bedrooms that share 2 bathrooms. Two of the rooms each have a queen-size bed, while the third room contains 2 single beds. One of the bathrooms has a shower and a bath, while the second has a shower. For convenience, linen and towels are provided. The open-plan kitchen is equipped with a stove and oven, a microwave, a fridge, a dishwasher, as well as a washer-dryer combo, and meals can be enjoyed at the dining table. The lounge is equipped with a TV with DStv, and Wi-Fi is available. The living area opens onto the balcony which is equipped with a gas braai. Unfortunately, pets are not allowed. The complex has an elevator and safe, undercover parking is provided. The complex also has 24-hour security. Guests also have access to a gym, a heated swimming pool, a swimming pool, a spa, and a hairdresser, all of which are located in the complex building. Admiralty B&B is located on Cannon Island in Marina da Gama and overlooks the tranquil water of the Zandvliei estuary, just minutes from the fabulous bathing beaches of the False Bay coastline. 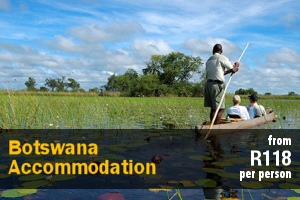 Accommodation is provided in 7 en-suite rooms with either mountain or lake views. The rooms are equipped with flat-screen TV’s, fridge, hairdryers, seating areas, and tea- and coffee-making facilities. The rooms are furnished with king-size, queen-size, single and or bunk beds. Guests can make use the communal lounge area, a fireside deck lounge, a library, unlimited Wi-Fi and heated outdoor swimming pool with sun loungers. The geysers and swimming pool are heated with rooftop solar panels and the establishment recycles. 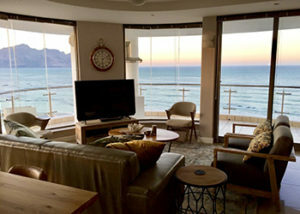 A sunny apartment offering well-appointed self-catering accommodation in Muizenberg. This unit boasts lovely sea views from the private balcony. Conveniently located to the beach, popular surfing spots, grocery stores, trendy local restaurants and bar scene. The 3 bedroom, 2 bathroom apartment can comfortably accommodate up to 6 people. The main bedroom is furnished with 1 king size bed, 2 bedside tables with reading lamps, and a ceramic wall heater. Some rooms have ceramic heaters. The en-suite bathroom includes a shower, basin and toilet. The second bedroom has twin single beds, a bedside table and a chest of drawers for personal items, while the third bedroom has a bunk bed and bedside table. These rooms have shared use of the second full bathroom. Two bedrooms have large cupboards allowing ample space to store clothing. 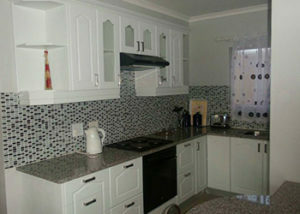 The kitchen is fully-equipped for self-catering featuring granite counter tops and tea- and coffee-making facilities. Dining space for 6 is available just beside the kitchen. The lounge offers an array of comfortable seating around the coffee table and flat screen TV. Sliding glass doors open out onto the balcony where guests can unwind and enjoy the sea view. The complex includes 2 refreshing communal swimming pools, perfect for sunny afternoons. Communal laundry facilities are also available for use by digression of the guest. Villa D’Algarve is located in the colourful beach-side village of Muizenberg, in a spacious upmarket complex with beautiful views that overlook False Bay and the distant mountains along the coast. This self-catering apartment is 500 m from Sunrise Beach and less than 2 km from Muizenberg beach, and the complex features two large swimming pools surrounded by lush lawns as well as jogging trails to the beautiful white sand beaches. The apartment is decorated in mostly neutral tones and consists of a fully equipped kitchen, dining area and a lounge that opens onto a balcony. There are 3 bedrooms, the one room features a double bed, the second room features twin single beds and the third room features a bunk bed. Apartments are serviced daily and fresh towels and linen provided once a week. Barbecue facilities are available for guests to make use of and a number of restaurants serving a range of local and international cuisines can be found within 2 km from Villa D’Algarve. Free private parking is available on site. 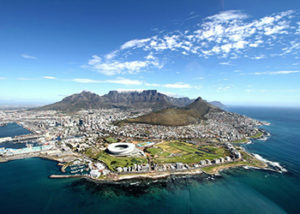 Cape Town International Airport is 28 km from the property and Kalk Bay is a 15-minute drive away. 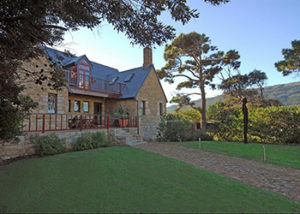 Abington Manor is a guest house that offers bed and breakfast, and is situated in Fish Hoek, Cape Town. Perfect for guests looking for modern lodging and warm hospitality, close to the beach and a variety of action. 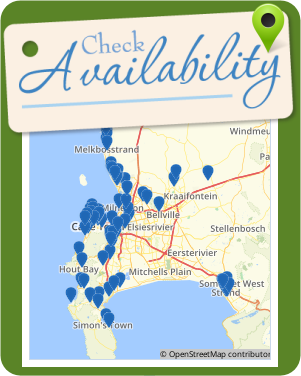 Solve your accommodation dilemma by choosing A Tuscan Villa Guest House, situated in one of Cape Town’s most sought after seaside suburbs, Fish Hoek. 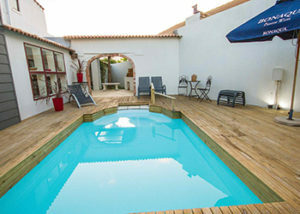 The villa offers accommodation that is luxurious and spacious so that you can relax and unwind. 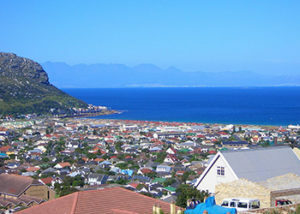 Tranquility Guest House is situated high on the mountainside overlooking the town of Fish Hoek. The guest house offers exceptional views, tastefully decorated rooms, delicious breakfasts, and warm hospitality on the outskirts of Fish Hoek village. 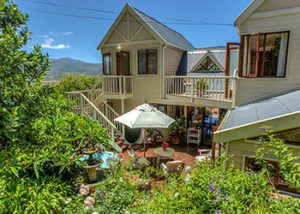 Situated on the mountainside in Fish Hoek, A Place in Thyme offers self-catering accommodation in three different units. Peacefully tucked away in the Fish Hoek Valley on the Cape peninsula, Villa Honeywood Guest House offers the perfect get-away spot for foreign and local tourists. Surrounded by rugged mountains, this town boasts one of the safest beaches for swimming in Cape Town.